PURE is an adult novel that's already getting tons of buzz, and Author Julianna Baggott is here today to add to that buzz with her preview. 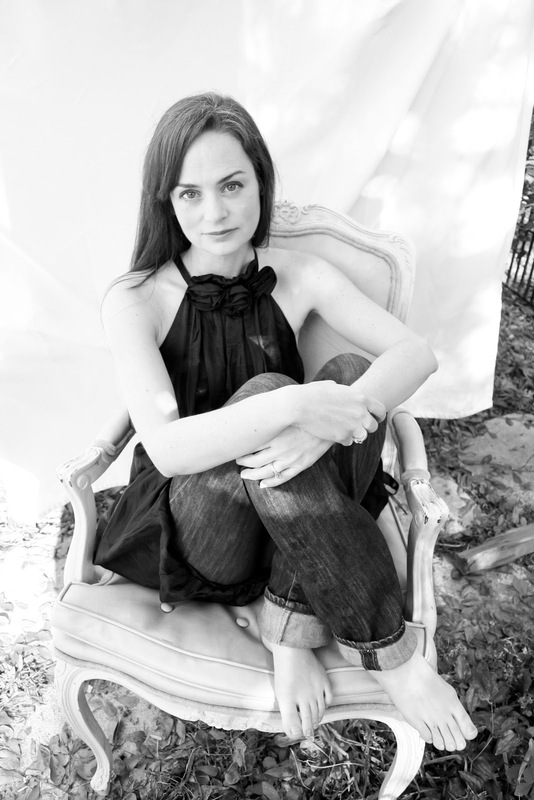 The book is due to drop on February 8, 2012 (Grand Central Publishing/Hachette) and film rights have been optioned. And now ... onto the interview. People are drawn to compelling stories. We want conflict and resilience. We want to have hope. You can't get to hope without going through some hopelessness. There's no greater way to come to believe in resilience than knowing desperation. In other words, people want darkness because they want to truly appreciate light. 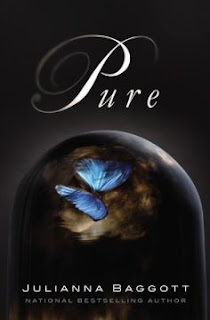 If PURE had a theme song, what would it be and why? For me, while gearing up to write, I like the dark industrial sounds of The Smiths "How Soon is Now?" But a friend of ours saw the cover and sent me a few compositions from Yoko Shimomura from the video game "Kingdom Hearts," pieces like "Dive into the Heart," "Hollow Bastion," and, aptly, "End of the World," beautiful, moody, sweeping. What fictional character from another book would Pressia chose as her best friend and why? I haven't read as widely in this genre as you and your readers have. I wrote a novel about characters I loved and the writers I've loved for a long time helped me create this world -- from Aimee Bender to Gabriel Garcia Marquez to Margaret Atwood to Italo Calvino, Fred Chappell and Lewis Nordan. I recently did a YA summer reading round-up for NPR. Two of those titles deserve a much larger readership: Flip by Martyn Bedford and Karma by Cathy Ostlere. Neither are dystopic but both are dark and wild. Damn. That's a really brutal question. I suppose I'd like to be part of the resistance -- you know, the group that tries to stop the end of the world. That feels like a good cause. Well, the world of PURE comes from the dark finery of my subconscious, the twisted parts of my own imagination, the things lodged in my memory, my take on the dystopic elements of our current world. It's mine, I guess, and so it is what it is. I hope it charges the imaginations of my readers -- contagiously. Thanks for the interview! Definitely excited to read this now when it comes out! I'm very intrigued. I think I'll have to get my hands on a copy when it comes out. I'm reading this right now and it's interesting to get this insight at the same time. Holy feck, I didn't know about this bit - now I really am desperate to read this! Ok, the premise of this one is so interesting to me that I am going to have to get it when it comes out, and that bit about the doll's head? Well that is just wonderful and weird, and intrigues me even more! Thanks for the questions -- I had a blast with them! I'm so struck by the fact that dystopian reads are often times the most hopeful.